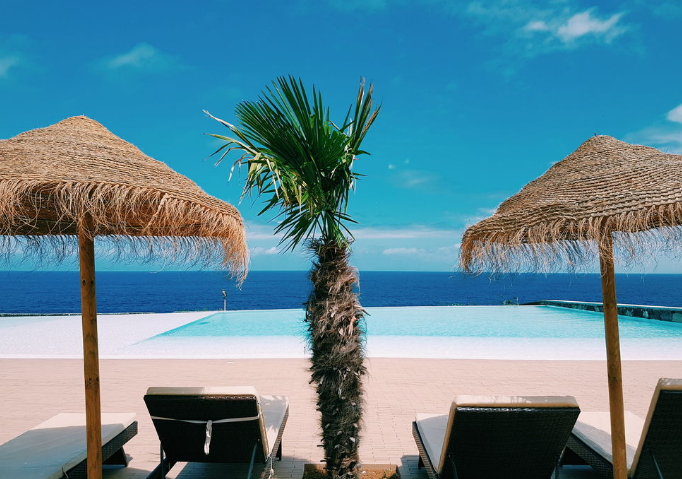 Pedras do Mar is a luxury resort and spa in Ponta Delgada, Sao Miguel (Azores main island) complete with spa and quite possibly the most beautiful outdoor pool on the entire island. 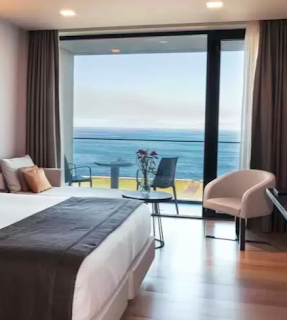 Although you're located in one of the best spots of Sao Miguel (with easy access to whale watching, beautiful hiking spots and more), you still may not want to leave this luxury hotel: there's indoor spa treatments, tennis courts, indoor and outdoor pools - aka there's something for everyone! Personally, I'd go for the Seaview. 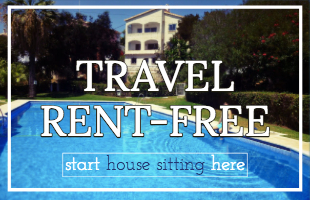 Pedras do Mar offer free wifi, free parking and an incredible free continental breakfast. 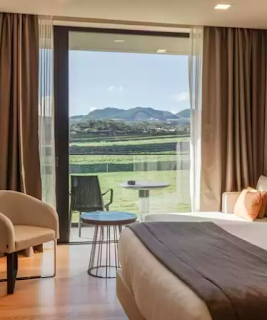 On Sao Miguel Island, the most luxurious hotel near Furnas is Terra Nostra. Furnas is an absolute must for anyone and everyone visiting the Azores - It's a dormant volcano which has natural volcanic springs good for bathing, cooking traditional Azorean stews and more. Terra Nostra is the perfect place to visit Furnas from, it's so close that they actually incorporate some of the natural springs of Furnas into the hotel! 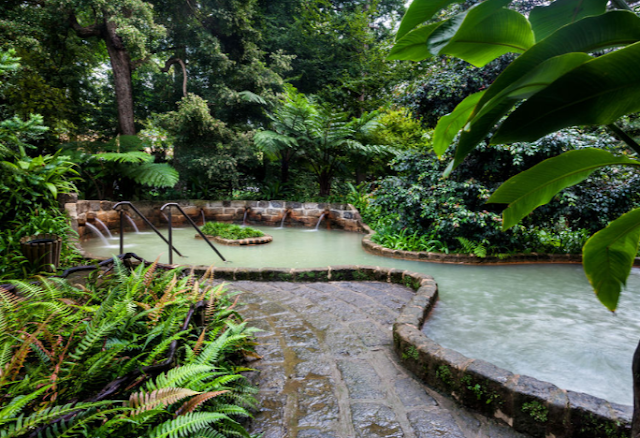 Yes, if you stay at Terra Nostra you will get to bathe in the natural, healing springs of Furnas. Furthermore, they have a spa, indoor and outdoor pools and so much more. 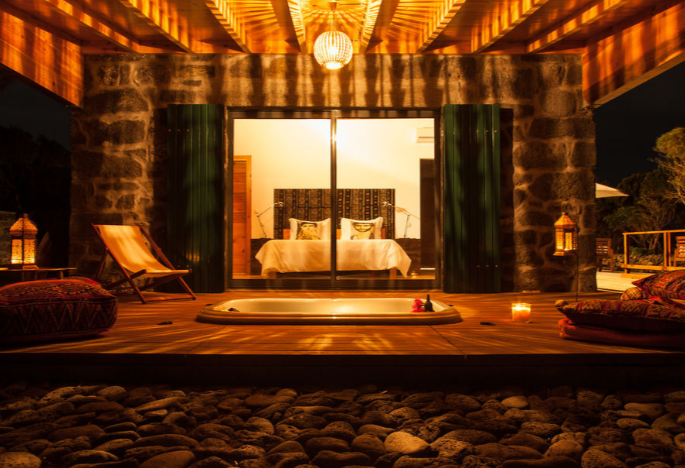 This is quite possibly our favourite Azores luxury hotel, the combination of nature and luxury is stunning. 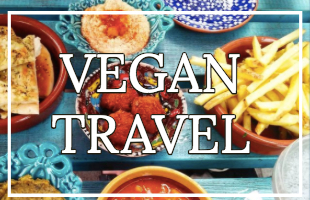 Terra Nostra have free buffet breakfast, free parking and free wifi. 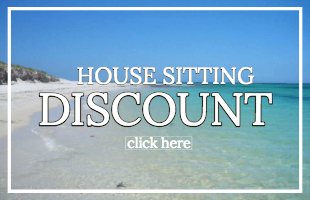 Cost: From £89/night - but book quickly, Terra Nostra is often booked out months in advance! For some (aka most), true luxury can only be had when there are no kids around. So for an adult-only guesthouse with outdoor pool and bar, head to Pocinhobay. Pocinhobay hotel is situated on Pico, which has the highest volcanic mountain of all the Azores Islands. Mount Pico dominates the skyline and is just 12 miles from Pocinhobay - making Pocinhobay the perfect spot for day trips to Mount Pico, where you can do so many cool things like volcano hiking and bird watching. Pocinhobay also features free buffet breakfast, free wifi and free parking. 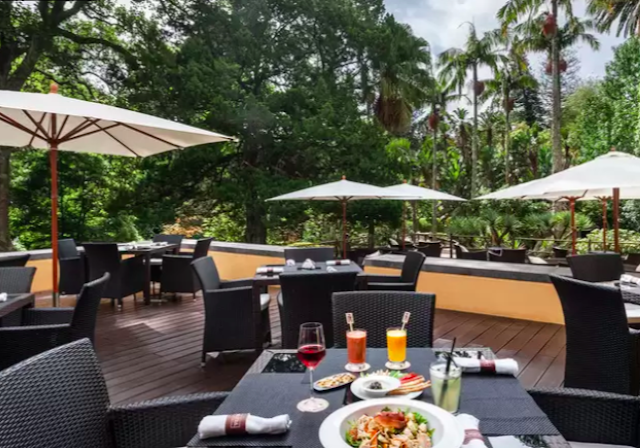 Complete with beautiful outdoor pool, delicious buffet breakfast and waterfront views, the Azor is one of the most luxurious hotels in the Azores. Built in 2016, the Azor is extremely modern and even has its own casino! This is luxury in the form of glamour and modernity. It's in a prime location in the Azores: not only is it on the main island, Sao Miguel, it's also in the main city: Ponta Delgada. This is the place to be if you want to go dolphin and whale watching in the Azores. For those looking for luxury in the form of relaxation, nature and serenity, look no further than Santa Barbara Eco-Beach Resort. 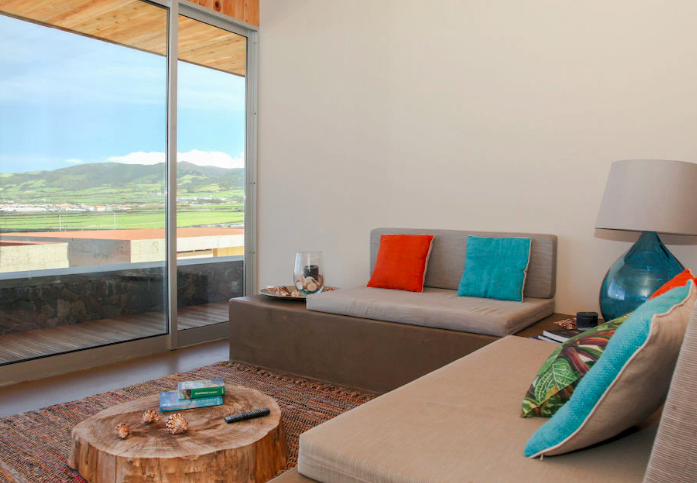 This resort has the absolute best views of those quintessential Azorean hills, which can be viewed from your own private deck. Santa Barbara also has its own pool and spa area. Located on the north side of the island in Ribeira Grande, guests are in the perfect location to visit Lagoa do Fogo (one of the islands three massive volcanos, commonly agreed as the most beautiful one), and Caldeira Velha - natural hot springs where you can go bathing. 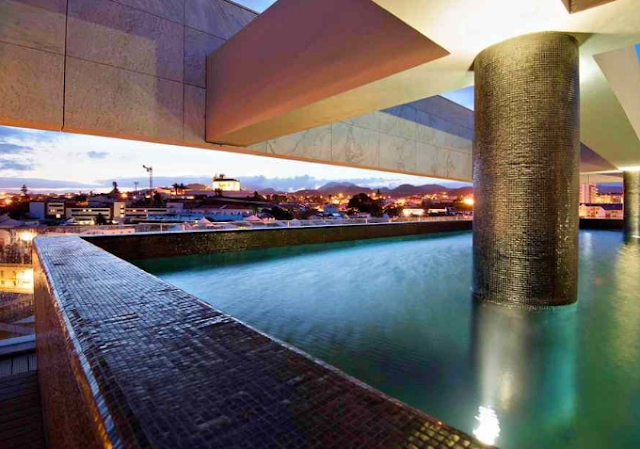 Quinta de Santa Barbara offers beautiful waterfront apartments complete with kitchenette and soaking bathtub. Located on the east side of Ponta Delgada Sao Miguel, Quinta de Santa offer free airport pickup as well as spa services, outdoor pool and beaches within walking distance. Another luxurious hotel with kitchenette on Sao Miguel Island Azores is the Whales Bay Hotel. With exceptional amenities room and wellness centre, you can't go wrong with this hotel. Located on the north side of the island this hotel is close to golf courses, museums, gardens and so much more! So there you have it, seven of the best Azores luxury hotels. 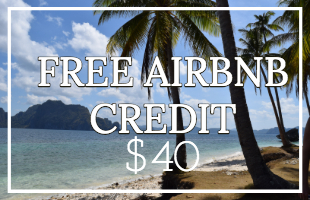 Hopefully, there's something here for you, whether you're planning a special anniversary, a honeymoon or simply a luxurious trip. There's a great mixture of hotels here from modern to historic, glamorous to eco-friendly and everything in-between. Essentially something to satisfy everyone's idea of luxury. 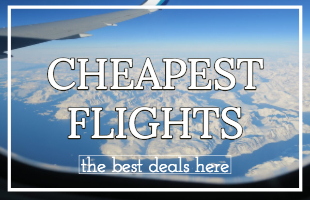 If you're still wanting more, check out this full list of hotels in the Azores or drop us a comment below. We hope you have the best luxurious holiday in the Azores! !